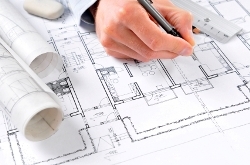 As the name implies, architectural engineering deals with architecture. It is the building and design engineering which differs from civil engineering on the point that civil engineering is more about physics where as architectural engineering decides the looks of the construction. In last few decades it is observed that new structures and township emerged. Knowledge of architectural engineering is involved in those creations. Architects are creator of amazing building structures, skyscrapers. There is a good scope of architecture engineers in the field of designing as well as public sector organization which deals with the development of township. It will be a good decision for individuals to get into the distance education program of architectural engineering and simultaneously continue with other works. NIMT - Neptune Institute of Management and Technology offer Bachelor of Engineering (BE) in Architectural Engineering through Distance Education mode.